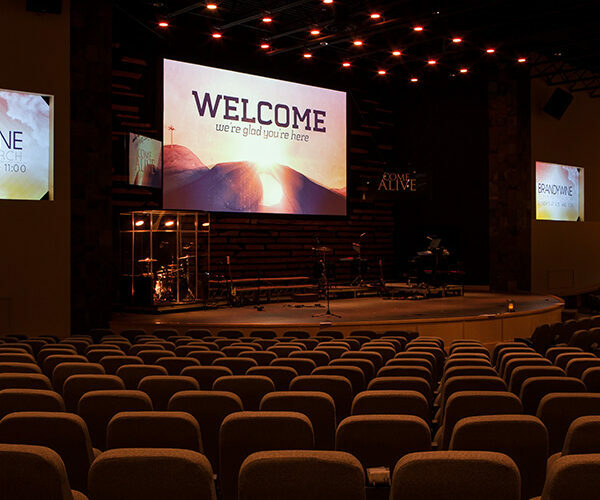 Brandywine Community Church in Greenfield, Indiana features two 161″ Cinefold Projection Screens with standard legs, a 27′ 6″ Truss-Style Cinefold and a 133″ Cinefold complete with standard legs. 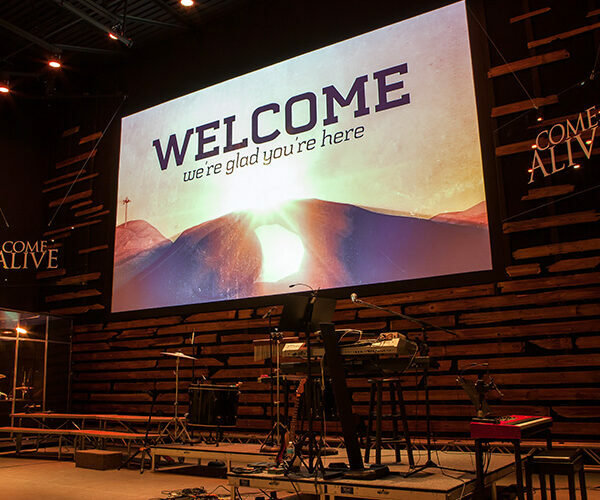 The Cinefold folding portable projection screen is versatile and ruggedly constructed. The frame is color coded and sets up in minutes without tools. The projection screen surface snaps onto frame. 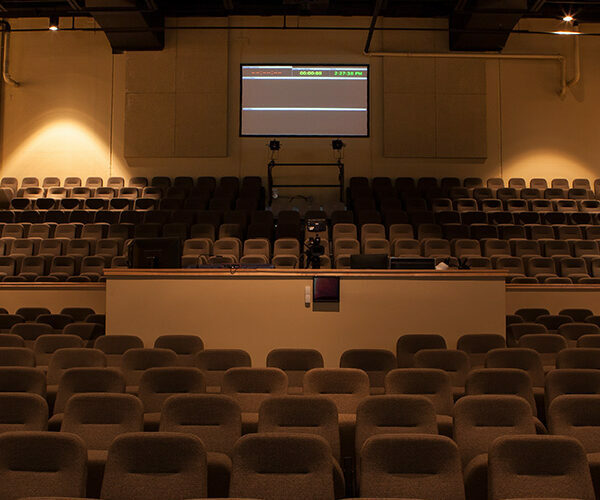 The Truss-Style Cinefold is a large folding portable screen, with extra rigid truss-style frame. 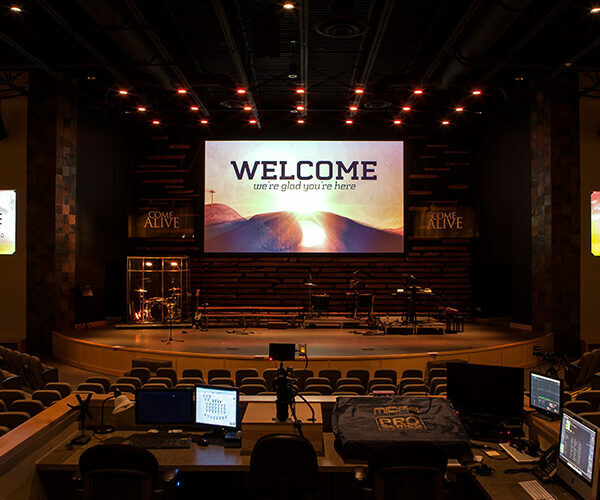 The frame and legs are constructed of parallel sections of 1″ (25mm) square silver powder coated tubing, arc welded to form a 6″ (152mm) wide truss. A special frame stiffener is attached at every horizontal hinge.